The Puppy Who Survived Slaughter House To Find Love! Miracles don’t always need a magic spell, sometimes kindness alone suffices. Meet Chi Chi, the Puppy Who Survived Slaughter House! It might be hard for us to fathom but South Korean dining tables often have dog meat as a delicacy (called gaegogi). Chi Chi was just another puppy from the litter bred for consumption. The little one had her feet bound and she was hung upside down — to make her meat more tender this way. She was stuffed with food to make her gain weight quickly. 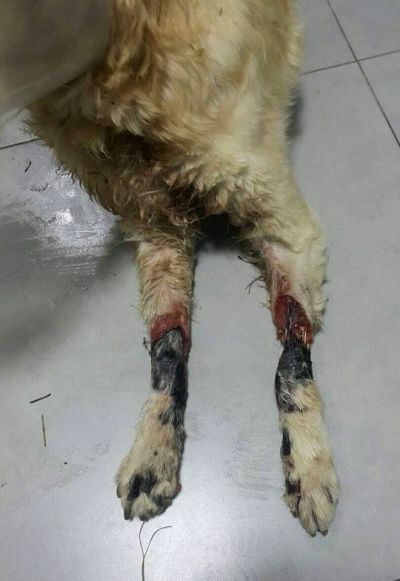 Chi Chi’s paws had rotten because of being bound…. “She was hung from her legs for so long that her bindings started eating through her flesh, at some point, it was literally bone she was hanging upside down from.”, said Monique Hanson, foster and adoptions coordinator at Animal Rescue, Media & Education (ARME), which rescued Chic Chi. As fate would have it, Chi Chi’s story was yet to begin. It might have been hard for her, but Chi Chi has taken to trusting humans. Chi Chi was rescued from a trash can in a locality notorious for its cats & dogs slaughter houses. Had she not been spotted just in time by the volunteers, who knows if she would have survived? 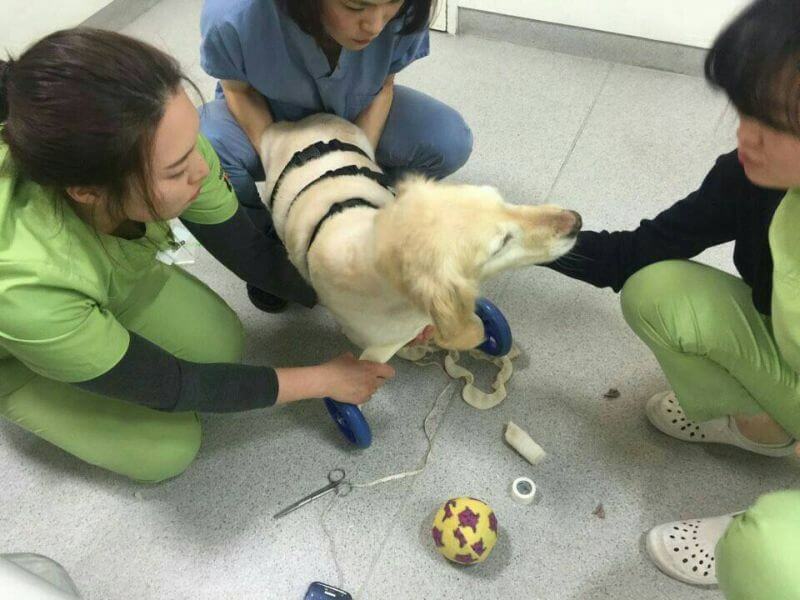 Chi Chi’s paws were amputated to save her life. Chi Chi may be a little dog but her will to fight on tore through every adversity thrown at her. 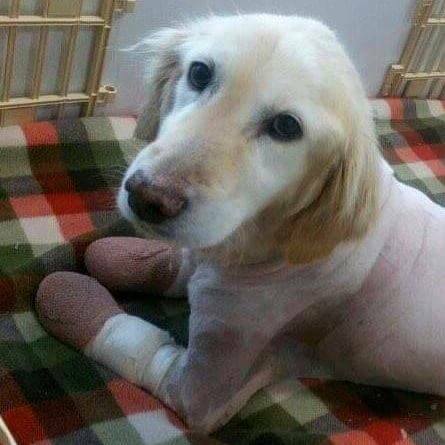 She had to let go of all four of her paws to survive as they were infected beyond any healing. Despite the pain of amputation, she retained her friendly ways. 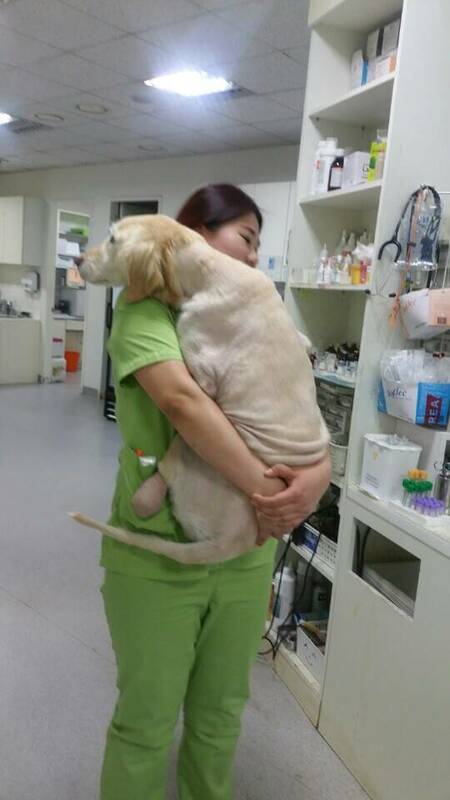 Despite having a major surgery, Chi Chi rolls on her back for kisses and cuddles. 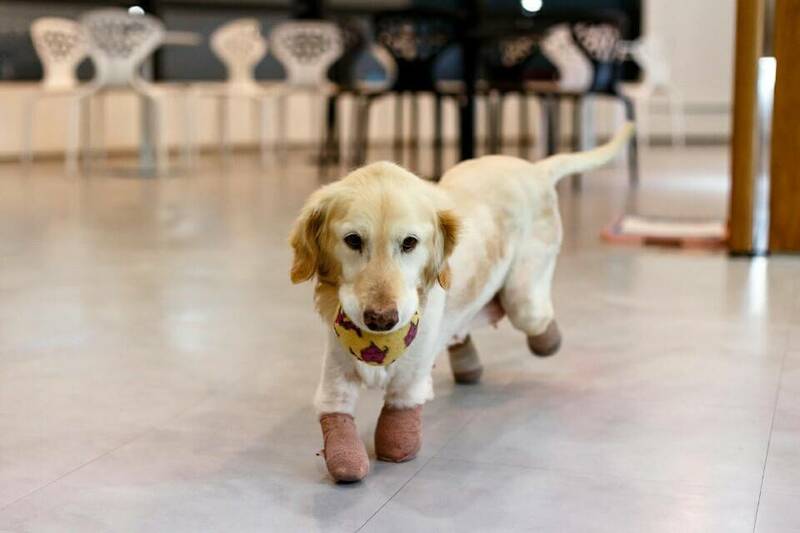 Chi Chi’s rehabilitation program has ensured that she can now walk again using prosthetics! Chi Chi is currently undergoing her rehab and recuperation. Once she gets fairly comfortable walking on her new paws, she will be ready for her new home in Arizona, the USA. She is expected to land in the states sometimes around March 2016 to unite with her new family, the Howells, who have several rescue dogs at home. We are sure Chi Chi will begin this new chapter of her life with love all around her. Posted on February 26, 2016 February 28, 2018 Author Abhishek JoshiCategories Hail the hound! Previous Previous post: Man Saves Money For 10 Years To Buy Ambulance For Stray Dogs! Next Next post: Photographer’s little dog has a big taste for adventure!